LuAnne, Author at Up-Rev, Inc.
Everyone has loyalties to their favorite brands, but there’s a good chance your favorite products are the result of two separate brands working together. One of my own beloved childhood memories was a product of co-branding: Betty Crocker partnered with Hershey’s to include chocolate syrup in its signature brownie recipe. There’s something brilliant about that co-branded product: It’s a fun way to marry two classic brands into one delicious experience for fans of baking and chocolate alike. In fact, these brands still create new co-branded products to this day. Co-branding is a strategic marketing and advertising partnership between two brands wherein the success of one brand brings success to its partner brand, too. Co-branding can be an effective way to build business, boost awareness, and break into new markets, and for a partnership to truly work, it has to be a win-win for all players in the game. Both audiences need to find value — like chocolate-loving fans of Betty Crocker and Hershey’s. There are a ton of great examples of co-branding partnerships out there. To show you what makes them so successful, we’ve curated a list of 13 examples of great co-branding partnerships to inspire you. GoPro doesn’t just sell portable cameras, and Red Bull doesn’t just sell energy drinks. Instead, both have established themselves as lifestyle brands — in particular, a lifestyle that’s action-packed, adventurous, fearless, and usually pretty extreme. These shared values make them a perfect pairing for co-branding campaigns, especially those surrounding action sports. To make the partnership work, GoPro equips athletes and adventurers from around the world with the tools and funding to capture things like races, stunts, and action sport events on video — from the athlete’s perspective. At the same time, Red Bull uses its experience and reputation to run and sponsor these events. “GoPro camera technology is allowing us to complement the programming by delivering new athlete perspectives that have never been seen before,” said Sean Eggert, Red Bull’s director of sports marketing. The collaboration allows exclusive GoPro content to enhance both companies’ growth. While GoPro and Red Bull have collaborated on many events and projects together, perhaps the biggest collaboration stunt they’ve done was “Stratos,” in which Felix Baumgartner jumped from a space pod more than 24 miles above Earth’s surface with a GoPro strapped to his person. Not only did Baumgartner set three world records that day, but he also embodied the value of reimagining human potential that define both GoPro and Red Bull. One of the biggest benefits of co-branding campaigns is the opportunity to expose your product or service to a brand new audience. That’s exactly what home furnishing store Pottery Barn and paint company Sherwin-Williams did when they partnered together back in 2013. 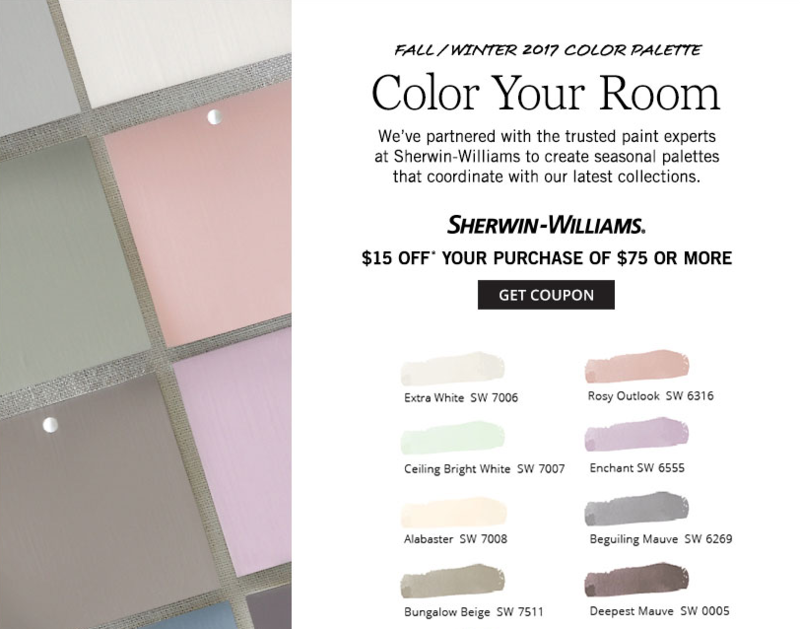 Together, the two brands created an exclusive product line of paints, and then added a new section of Pottery Barn’s website that helped customers easily select paint colors to complement their furniture choices. Customers could coordinate paint colors with picture-perfect Pottery Barn furniture for a mutually beneficial partnership — and style assistance for both brands’ customers to boot. “Paint Landing,” Pottery Barn’s landing page for the partnership, contains helpful blog posts and how-to ideas for do-it-yourself painting and decorating. 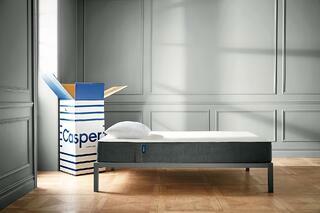 You may have already heard of Casper — it’s an online mattress and bedding brand that sells mattresses in a box. Casper mattress unboxing videos like this one have become a hit on YouTube, but despite the brand’s 100-day return policy, some shoppers might still be hesitant to buy a mattress without getting the chance to roll around in it first. Enter West Elm, a high-end furniture company. Casper and West Elm partnered so shoppers could try out the comfy mattress before purchasing — and so West Elm could advertise its chic bedroom furniture. This is another example of a mutually beneficial co-branding partnership. It helps both brands appeal to a broader group of shoppers — after all, Casper doesn’t sell furniture, and West Elm doesn’t sell mattresses. It also provides shoppers with options — to try a mattress before buying, or to feel what it would be like sleeping in a bed frame. 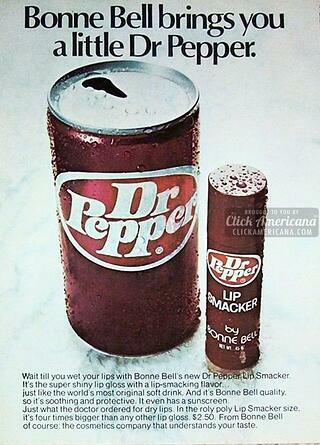 Dr. Pepper-flavored lip balm. I mean, it’s genius. Bonne Belle first debuted Lip Smacker, the world’s first flavored lip balm, in 1973, starting with flavors like strawberry, lemon, and green apple. Just two years later in 1975, they’d forged their first flavor partnership with the timeless Dr. Pepper brand. The result? A lip balm flavor that’s been famous for decades among teenage girls. 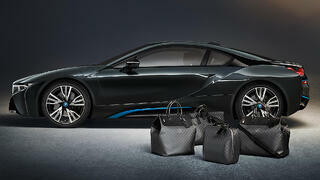 Car manufacturer BMW and designer Louis Vuitton may not be the most obvious of pairings. But if you think about it, they have a few important things in common. If you focus on Louis Vuitton’s signature luggage lines, they’re both in the business of travel. They both value luxury. And finally, they’re both well-known, traditional brands that are known for high-quality craftsmanship. These shared values are exactly why this co-branding campaign makes so much sense. In their partnership, BMW created a sports car model called the BMW i8, while Louis Vuitton designed an exclusive, four-piece set of suitcases and bags that fit perfectly into the car’s rear parcel shelf. Although the four-piece luggage set goes for a whopping $20,000, the price is right for the target customer, as the BMW i8 starts at $135,700. A price like that kind of makes that luggage set seem like a drop in the bucket. Not only does the luggage fit perfectly size-wise, but its design and appearance fit perfectly with BMW’s image: sleek, masculine, and high-quality. Turns out both the luggage and some parts of the car’s interior use carbon fiber, strong-yet-light composite material. 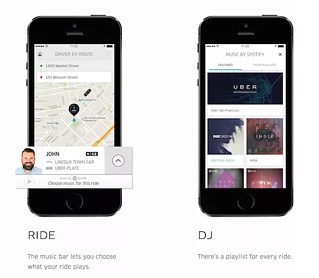 Music-streaming app Spotify partnered with ride-hailing app Uber to create “a soundtrack for your ride.” This is a great example of a co-branding partnership between two very different products with very similar goals — to earn more users. Here’s how it works: When riders are waiting for an Uber ride, they’re prompted to connect with Spotify and become the DJ of their trip. Users can choose from their own playlists to determine what they’ll listen to. This smart co-branding partnership helps fans of Uber and Spotify alike enjoy better experiences thanks to the app. And they might be more interested in picking Uber and Spotify over competitors knowing they can enjoy their next ride listening to their favorite tunes. Sometimes, co-branding partnerships aren’t just cool projects between two companies — they actually have practical value when the companies work together. When Apple released the Apple Pay app, the brand effectively changed how people perform transactions. This app allows people to store their credit or debit card data on their phone, so they can use them without physically having the card with them. But in order for this app to succeed, it needs credit card companies to integrate with this technology. By the same token, credit card companies also face more competition themselves if they aren’t compatible with the latest consumer purchasing tool. To get out ahead of its competition, MasterCard became the first credit card company to allow its users to store their credit and debit cards on Apple Pay. MasterCard not only showed support of a major consumer tech developer in this partnership — it evolved along with its own customers in how they choose to make purchases at the counter. You’ve probably heard of Airbnb, the room-sharing application that allows you to find convenient lodging hosted by real people. 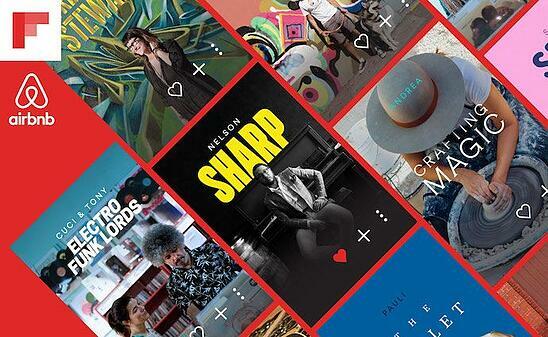 But its newest partner, Flipboard, might not have been on your radar until now. Flipboard is a news aggregator that collects news and topical content that users are sharing on social media, and allows you to “flip” through the material much like a social media feed. Well, Airbnb recently teamed up with Flipboard to create Experiences, which serve Airbnb users with lifestyle content tailored to their interests and shared by people with similar interests as the reader. The ongoing campaign recently led to another co-created product called Trips, which allows Airbnb users to connect with hosts on common interests and actually book these experiences when traveling. This partnership is an impressive example of how businesses can connect their customers with information that caters to their individual interests and drive usage of the product as a result. Some co-branding campaigns are more complicated than others. This example from BuzzFeed and Best Friends Animal Society is one of the simplest ones out there — and it goes to show a great co-branding effort doesn’t have to take months of planning or millions of dollars. For this campaign, the folks at Best Friends Animal Society wanted to leverage BuzzFeed’s readership of over 200 million people. To do this, they partnered with the folks at BuzzFeed to set up and publish an article called, “We Interviewed Emma Watson While She Played With Kittens And It Was Absolutely Adorable,” which you can read here. The article is exactly what it sounds like: Harry Potter and Beauty and the Beast star Emma Watson answered fans’ questions while she played with cute kittens. The article ends with a CTA advertising that the kittens featured in the video are, in fact, adoptable — a win-win for both partners. 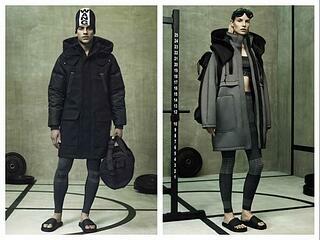 Anyone who’s designer-conscious knows Alexander Wang and H&M aren’t exactly the same caliber when it comes to quality. Shoes by Alexander Wang tend to go for around $350 a pair, whereas shoes sold by H&M tend to go for more like $35 a pair. See what I mean? But that discrepancy in pricing is exactly why the two brands decided to partner with one another. To support their brand positioning as trendy and fashionable, H&M has traditionally paired with high-end fashion brands to offer exclusive branded items for a limited time. In exchange, those high-end brands — like Alexander Wang — can expose their brand name to “a new generation of potential consumers, who will increasingly aspire to owning more pieces from his high end collection,” writes Michelle Greenwald for Forbes. Whenever a new installment of the beloved “Star Wars” series is released in theaters, it causes global pandemonium, and the release of “Star Wars: Episode VII The Force Awakens” in 2015 was no exception. The series’ parent company, Lucasfilm, partnered with CoverGirl to capture a broader audience to get fans new and old excited about the movie’s release. You might be wondering, “What do “Star Wars” and makeup have in common?” And the cleverness of this partnership is evident in the answer. In the past, the space-age action movies were almost exclusively advertised and targeted toward men and boys. But in this day and age, that’s nonsense — because people of all genders can be interested in space exploration and makeup contouring alike. The line was designed by famed makeup artist Pat McGrath, and it features two styles: the Light Side and the Dark Side, which loyal “Star Wars” fans will recognize as the sides of good and evil in the movies. This co-branding partnership was a win for both brand. Lucasfilm captured more attention and got CoverGirl shoppers (many of whom are young women) excited about the film’s release. And CoverGirl hopped on the “Star Wars” advertising bandwagon that took over the internet, stores, and TV leading up to the film’s release. If you have the chance to partner for a not-for-profit cause, it can pay off in multiple ways. In 2015, Target partnered with UNICEF on a campaign called Kid Power, which committed Target to one of UNICEF’s sustainable development goals (SDGs). The retailer sold kid-friendly fitness trackers encouraging the wearer to complete various fitness activities, which ultimately helped deliver food packets to underprivileged children around the world. By selling this fun, inexpensive fitness product, Target encourages children to embrace a healthy lifestyle and uses kids’ successes to supply underserved communities with the resources they need. It’s an ongoing partnership that generates awareness of global malnutrition, helps UNICEF meet its demanding SDGs, and opens up Target to a demographic of giving families they might otherwise have had access to. By the way, you can get your child a Kid Power band here. Athletic brand Nike and technology giant Apple have been working together since the early 2000s, when the first line of iPods was released. 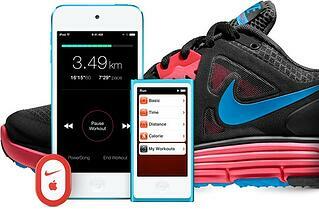 The co-branding partnership started as a way to bring music from Apple to Nike customers’ workouts using the power of technology: Nike+iPod created fitness trackers and sneakers and clothing that tracked activity while connecting people to their tunes. The partnership has since evolved to become Nike+ — which uses activity tracking technology built into athletic clothing and gear to sync with Apple iPhone apps to track and record workout data. Tracking transmitters can be built into shoes, armbands, and even basketballs to measure time, distance, heart rate, and calories burned. It’s a genius co-branding move that helps both parties provide a better experience to customers — and with the popularity of fitness tracking technology, Nike+ is ahead of the curve by making it easy for athletes to track while they play. However, what is simple is not necessarily easy. While chief executives recognize they need to dramatically improve their capacities for both innovation and collaboration, it appears that few of them know what to do to accelerate their performance in these two critical strategic competencies. This may explain why, in his analysis of a recent study by economists Robert Litan and Ian Hathaway, Richard Florida notes that a reduction in business dynamism has led to the troubling condition where “business deaths now exceed births.” Perhaps the reason developing an effective capacity for innovation and collaboration is so hard is that many, if not most, business leaders are unaware of the defining elements of these two competencies. When people think of innovation, they usually think of inventions, such as the Apple iPhone, Google glasses, or Wikipedia. While these products are indeed the outcomes of innovation, they are not the essential ingredients that make these companies masters of managing change. Often, when business leaders decide innovation is an important strategic initiative, their first move is to set up a department, put somebody in charge, and hold that person accountable for coming up with ideas for innovative products. Unfortunately, these initiatives rarely produce real results. Innovation is not a department. It is a way of thinking and acting that alters the fundamental DNA of a business and its management so that creativity—which Steve Jobs defined as the simple act of connecting things—becomes the core fabric of the enterprise. The essential element of innovation is serendipity, which is the capacity to make unusual connections. These connections are the incubators for innovative product ideas. Serendipity is something that is more likely to happen when people from various disciplines exchange ideas than from isolated activity inside a bureaucratic department. People working in silos “doing their part” are far less likely to come up with the idea of combining your telephone and your music collection into one device than a collection of workers from multiple perspectives. That’s why, for example, Google provides free meals for its workers. While many laud the company for its progressive approach to employee perks, the real reason for Google’s free food is to enable opportunities for serendipitous encounters. When we think of collaboration, what usually comes to mind is a picture of a highly cooperative and coordinated group who really enjoy working together. We tend to think that group collaboration is a primarily a reflection of individual willingness on the part of different people to support each other. With this understanding, many leaders feel the key to improving collaboration is to train individuals to be more cooperative and are surprised when their training investment yields far less than expected. While cooperation and coordination are indeed important elements of collaboration, neither is the essential element. Jane McGonigal, in her insightful book Reality is Broken, defines collaboration as the intersection of three kinds of efforts: cooperation, coordination, and co-creation. Of the three the most important element is co-creation because when workers have the opportunity to co-create what they do, cooperation and coordination are likely to follow. The simple reality is without co-creation, collaboration is not possible. The reason why, despite their best intentions, so many companies struggle with innovation and collaboration is that their organizations are usually top-down hierarchies, and thus, are not designed to cultivate these two competencies. In fact, they are designed to unwittingly squash both innovation and collaboration. The defining attribute of the top-down hierarchy is the chain of command, which means, in every traditionally organized company, there is an army of supervisors who tend to be heavily invested in the status quo and have the positional authority to kill good ideas and keep bad ideas alive. Serendipity doesn’t stand a chance against this army because new ideas tend to threaten the status quo. And when the fundamental organizational dynamic is “to do what you’re told” inside fragmented silos, hierarchical bureaucracies are not places where co-creation is even remotely possible. If CEOs are serious about improving their companies’ capacity for innovation and collaboration, they need to transform their organizations from top-down hierarchies to peer-to peer-networks and model themselves after companies, such as Google, Amazon, Whole Foods, Morning Star, and Zappos. The leaders of these companies understand that, if you want your organization to be highly competent at innovation and collaboration, you design your organization for serendipity and co-creation. That’s why they build peer-to peer networks rather than top-down hierarchies. Three years ago, the world’s largest automotive company, Toyota, publicly doubted the real potential of electric cars. “We do not believe there is a market to accept it,” said Toyota Chairman Takeshi Uchiyamada. In April, 276,000 people signed up to buy the Model 3, Tesla Motors’ latest all-electric vehicle. This figure matches the annual sales of some of the most popular car models in the U.S., such as the Honda Accord or Nissan Altima. And they did it in just two days. Tesla’s success has proven the industry giants wrong. The business is the first successful American automobile company in over a century, started by just a small group of engineers and a handmade car. Their story shows how, by going against the grain, new entrants can challenge established leaders. Startups have a secret weapon — they are inherently innovative, they are agile and adaptive. This gives them an advantage over the more rigid structures prevalent in larger corporations. Pioneering a new idea in the presence of industry giants can be a daunting prospect. But by questioning the accepted standard successful startups such as Airbnb and Groupon, have redefined whole industries. This article explains just how entrepreneurs can effectively ‘reinvent the wheel’, taking tips from the successes and failures of new businesses, and my own experiences, creating a smart bike in a crowded market. 1. Define your own big mission. Startup leaders have the benefit of being able to assess a problem from a fresh perspective, to create their own unique solution, and bigger mission. The global bicycle market is a $53.9 billion industry focused on mass market produce, and dominated by household names such as Giant and TREK. At SpeedX we compete with these veterans by focusing on transforming cycling from a functional activity into something that is enjoyable, through the use of smart technology. We are taking on a huge industry, but doing this with our own distinct vision. Startup founders have the ability to pioneer new solutions that others perhaps may overlook or disregard. uBeam founder Meredith Perry has come under fire from skeptics who question her radical vision to create the world’s first wireless energy solution and disrupt a multi-billion dollar CE industry. Perry aims to enable the first truly wireless device, by creating a charging system that uses ultrasound waves to transmit energy. This means wireless power and also wireless secure data — all groundbreaking technology, but met with little confidence from experts. However, the CEO believes being able to address the problem of transporting power as someone who is not an expert in this field means she has actually has an advantage. “You have the potential to outthink the top thinkers,” she says. uBeam has already received $25 million in funding, and the new charging system will be unveiled later this year. Entrepreneurs need to define their greater mission. Following this end goal will give you direction, an identifiable market, and will help you to identify the necessary steps to take to make this happen. 2. Startups are agile, use this to your advantage. A startup is small enough to act with freedom, they are agile and can be more responsive. A larger business already has an established product, and connected target audience. They have a system of departments and hierarchies built around this, product road maps, and shareholder interests to contend with. All of this limits new innovations to R&D teams, and shifting business focus is much harder, whereas startups can jump full throttle into new projects. A recent survey of 250 executives reported that 40 percent believe that startups are disrupting their industries. Inc reported these findings, explaining that respondents cited “a greater willingness to take risks and more flexibility” as strengths that help startups to innovate. A great example of this is the billion-dollar pivot executed by The Point, better known today as Groupon. The Point started off an online fundraising platform, the venture struggled and was on the brink of failure. They tested the concept of a “Tipping Point,” communicating target amounts required for a plan to be actioned. The Point died through lack of focus, but using this new concept Groupon was born and it transformed the online discount market. 3. Make your product better than the original. In 2015 Rdio, the first on-demand music streaming service in the U.S. went bankrupt. Launched by the founders of Skype in 2010, the music service charged listeners $5 a month to access the streaming cataloguer. Rdio failed to market and distribute this to a large enough user base and was beaten out by Spotify, who arrived later to the scene, but with an improved model. Spotify’s free service attracted a larger audience who became familiar with the platform, later encouraged to upgrade to the premium service with additional features. The company understood that the online world had grown accustomed to free music, and they created a better tool to fit this appetite. Startups might be recognized for innovation, but this only works if your product is significantly better than the industry standard. This means you need to understand the market and the demand, know what the current offering is, and then create something that adds more value. At my startup we did this through taking part in cycle tours, working with focus groups, and interviewing cyclists. Getting feedback directly, using online testers and even crowdsourcing solutions means businesses can constantly improve their beta products. It is important to stay connected with your audience, and to make sure your concept fits their needs and habits. 4. Lean on accelerators and business pros. When Tesla founders Martin Eberhard and Ian Wright pitched electric cars to Elon Musk, in his SpaceX office, they found a common passion. By bringing a visionary on board they were able to turn their concept into a reality. While we can’t all woo Elon, there are other ways that entrepreneurs can find valuable mentorship and support.There are hundreds of accelerators and incubators that will provide training, networking opportunities, and even office space and capital to help you get your idea off the ground. Entrepreneur contributor Punit Arora reported that businesses that work with incubators have been found to have survival rates of over 80 percent, compared to a startup average of 20 percent. There are a huge number of options, from industry leaders such as Y Combinator to more niche programs that may suit your business better. As a founder, you need to take the time to find an accelerator that caters to your business needs, has mentors and previous graduates who have worked in your field, and has a program that introduces you to suitable investors. But it’s not all about the money, Rdio was able to raise $117.5 million from investors, it was the first player on the U.S. music streaming scene, but it still failed. uBeam may well have a very unique yet defined mission, but it still comes up against constant criticism that wireless power is not much more than a dream. The road to success can be tough for new businesses. However, more and more we are seeing the strongest ideas emerge from the startup scene. Agile startups are today recognized as valid contenders against the giants of industry. What’s more, larger businesses are increasingly waking up to the power of startup innovation, and harnessing this for their own developments. Google has created its own in-house startup incubator, Area 120, helping employees to launch their own startup initiatives. This is reflective of a new trend of startups helping larger businesses to create new products outside of the rigid structures that may have previously inhibited this. In recent years, startups have turned homes into hotels, drivers into a paid couriers, and electricity into a viable fuel for new automobiles. Successful new enterprises can challenge the accepted norms with new concepts and in doing so, transform entire industries. Vendor management allows you to build a relationship with your suppliers and service providers that will strengthen both businesses. Vendor management is not negotiating the lowest price possible but constantly working with your vendors to come to agreements that will mutually benefit both companies. The key to succeeding in vendor management is to share information and priorities with your vendors. That does not mean that you throw open the accounting books and give them user IDs and passwords to your systems. Appropriate vendor management practices provide only the necessary information at the right time to allow a vendor to serve your needs better. It may include limited forecast information, new product launches, changes in design and expansion or relocation changes. One of the goals of vendor management is to gain the commitment of your vendors to assist and support the operations of your business. On the other hand, the vendor is expecting a certain level of commitment from you. It does not mean that you should blindly accept the prices they provide. Always get competitive bids. 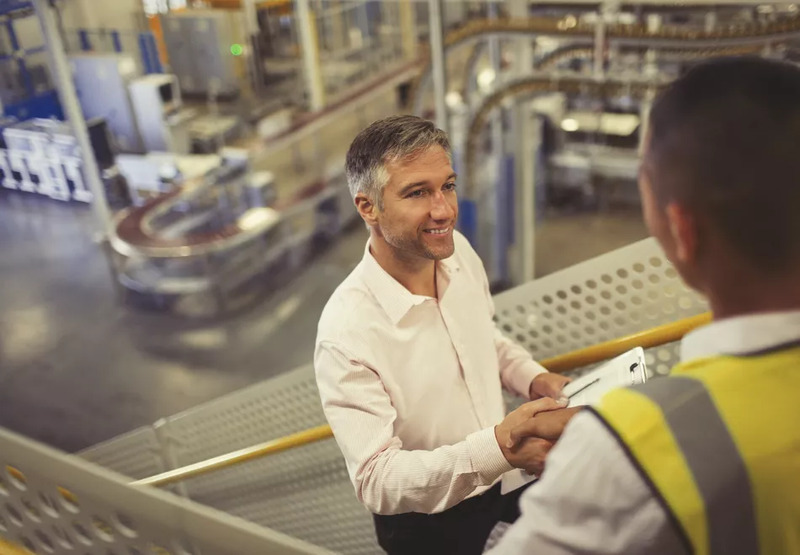 If a vendor supplies a key part or service to your operation, invite that vendor to strategic meetings that involve the product they work with. Remember, you brought in the vendor because they could make the product or service better and/or cheaper than you could. They are the experts in that area, and you can tap into that expertise to gain a competitive edge. Vendor management prioritizes long-term relationships over short-term gains and marginal cost savings. Constantly changing vendors to save a penny here or there will cost more money in the long run and will impact quality. Other benefits of a long-term relationship include trust, preferential treatment and access to insider or expert knowledge. Remember, your vendor is in business to make money too. If you are constantly leaning on them to cut costs, quality will suffer, or they will go out of business. Part of vendor management is to contribute knowledge or resources that may help the vendor better serve you. Asking questions of your vendors will help you understand their side of the business and build a better relationship between the two of you. Vendor management is more than getting the lowest price. Most often the lowest price also brings the lowest quality. Vendor management will focus quality for the money that is paid. In other words: value! You should be willing to pay more to receive better quality. If the vendor is serious about the quality they deliver, they won’t have a problem specifying the quality details in the contract. Whether you’re a multimillion dollar company or a small business with a few employees, here are some vendor management best practices that any size business can use.